Since I’ve been asked a few times about understanding water resistance, I decided to create this to refer back to. Wikipedia has a good article, but I’ll try to summarize below, as well as “borrow” the chart they have. So first off, there are two types of water Resistance markers with watches, and the testing that is required. 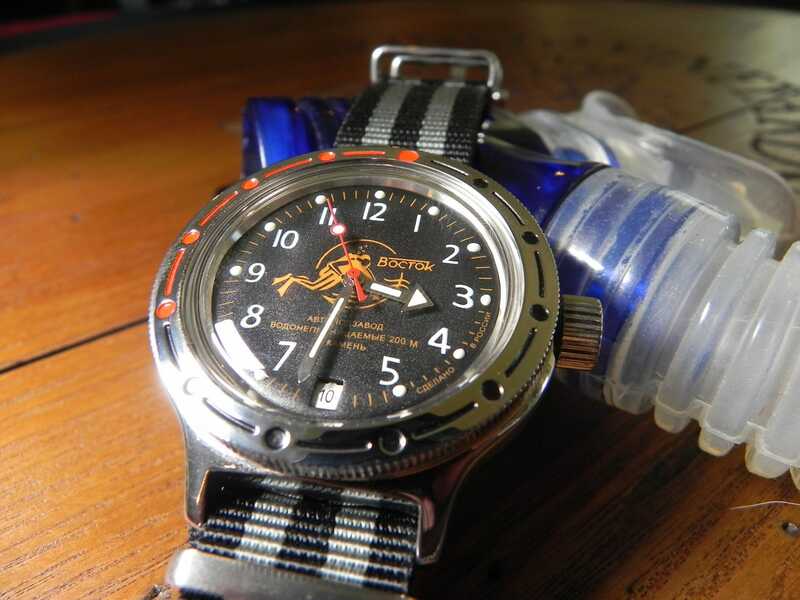 Normal watches (ISO 2281) and Dive Watches (ISO 6425). How do you tell the difference? Well first, if it is dive certified, the manufacture will say so. Otherwise it will usually say “divers 200m” or something like that, instead of just “200m”. There are a lot of requirements, but there are two things that stand out. The first, the watch is only required to survive the pressure of that depth for 10 minutes. The second, is that not every watch is tested, just a sampling. So how does this differ for a dive watch. There are a number, but again, there are 2 important differences. First, it has to survive 125% of whatever the required pressure for an hour. Meaning if its rated for 100m, it has to survive 125m. And second, every single watch has to be tested. Which is why certifed divers are more expensive, as that adds costs. They way I look at it, is like this. On a regular watch, the rating tells you where it will die. Compared to a true diver, which tells it how deep you can go and be fine. So why shouldn’t I swim with a 30m, or dive with a 100m? I wont be anywhere near that depth? The table at the bottom gives the generally accepted uses. And for the most part, they are really conservative. Although a lot of this comes from people who have expensive watches, and really don’t want to risk them. It doesn’t take much to kill a watch. And with quartz only a drop can fry the circuit board. Remember there are usually 3 entry points for water, so 3 potential points of failure. The seal around the crystal, the stem, and the caseback. The general thought process is this. Unless you have a diver, the watch that was tested for that depth. Is not the one your wearing. And that watch was brand new, with new seals. The watch, just sat there in a pressure chamber. It wasn’t moving around, or having any force exerted on it. Such as it would, if you are swimming. Also the temperature was consistent and controlled. Unlike the real world where things get hot, and cold. Sometimes right after one another. Remember, heat causes materials to expand, and cold to contract. One thing to remember, each watch design is also different. So while one watch may have barely been able to pass with a rating. Another may have easily passed it, and almost be rated for higher. As I said, the generally accepted uses are fairly conservative. But there are plenty of stories of dead watches that should of been able to do something. But there are also many stories of watches of going to depths and not having any problems. I’ve taken an old 100m watch diving many times. Even though many people say you shouldn’t. The first time I wasn’t sure it would survive. But now I know it can take it. I’ve also heard of people diving with 30m watches, and having no issues. Ultimately it’s up to you, and what you feel comfortable with. Suitable for swimming, white water rafting, and fishing.